My Scans is the best Document Scanner and Document organiser for iPhone and iPad! My Scans will do the rest. 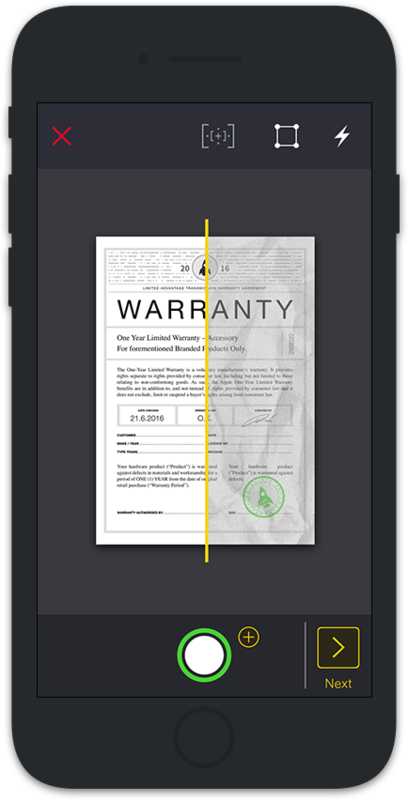 It detects edges and converts photos to a searchable PDF document. You can send documents by email or print them anytime you want. With My Scans Cloud you can synchronise documents between your devices, access files on your computer via a Web browser, collaborate with others using shared folders and share or receive files through Download and Receive links. From now on you will have all the documents you always need in your pocket!